Show us anything with an electrical cord and we can fix it, expand it or design a new one. 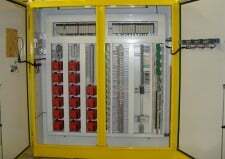 That especially goes for control systems of programmable logic controllers (PLCs). We’re proficient in programming and software development; our fluency in ladder logic, function block, instruction list, sequential function chart, and structured text languages makes us comfortable in a variety of architectures. In recent years, designers have started using programmable automation controllers (PACs) to integrate motion control and process control in the same development environment. This provides a single control architecture in which to program, configure, commission, and maintain the machine. 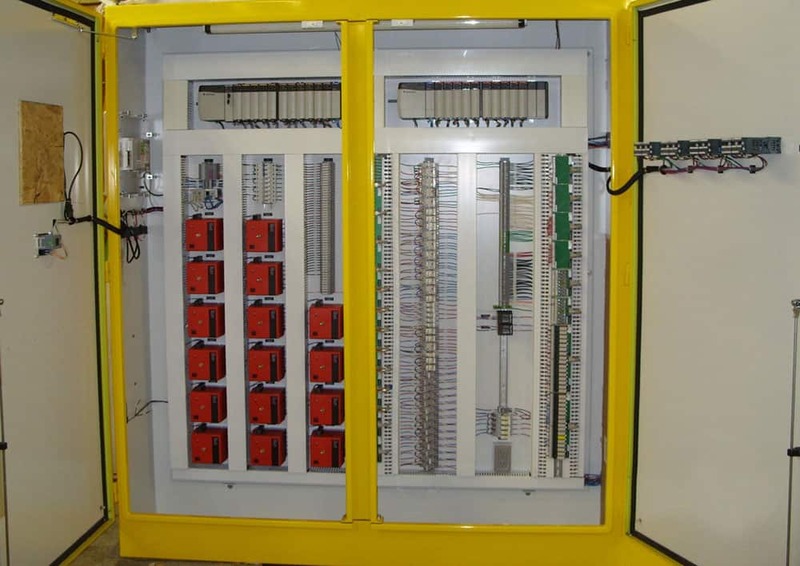 At ACES we work with you to determine which combination of PLCs and PACs is the most integrated, elegant solution for your unique application. We install the most respected names in control systems manufacturing, such as Allen Bradley, Yaskawa, NAIS, Cutler-Hammer, Mitsubishi, Toshiba, Modicon, Fanuc, Symac, Omron, etc. Although ACES is on the leading edge of controller technology, we also pride ourselves on being backwards compatible. When you have a hard-to-find or obsolete device that needs servicing or replacing, our combined 125 year history in troubleshooting and our licensed master electrician will find the quickest, most economical solution for you. We’ve programmed control systems for many different industries such as aerospace, municipal water, oil fields and food and beverage. This wide range of exposure gives us a unique synchronicity when it comes to servicing your control systems; chances are good that we’ve solved a similar challenge in the past and this gives us a head start. How can I make this work so the client does not have to call us all the time? Some companies install proprietary software so that you have to contact them for the smallest issue. Not ACES. We’re always looking for the most elegant and sensible solution for you, including software you can program yourself if you have the knowledge — and if you need a little help we’re always here. We know that lowering your long-term total cost of ownership means taking ourselves out of the equation as much as possible.